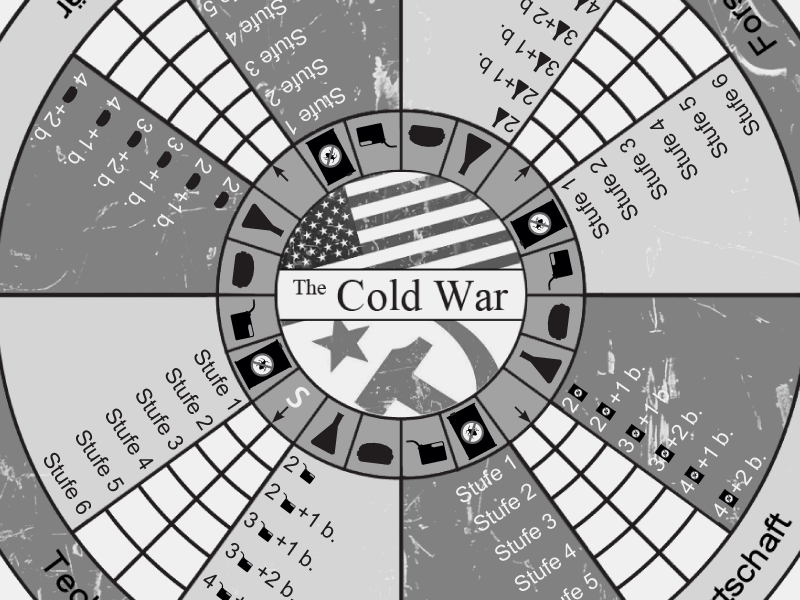 The Cold War is an old project for the Game Design class. The topic we had to deal with was War without borders, so I decided to create a boardgame about The Cold War between the United States of America and the Soviet Union. 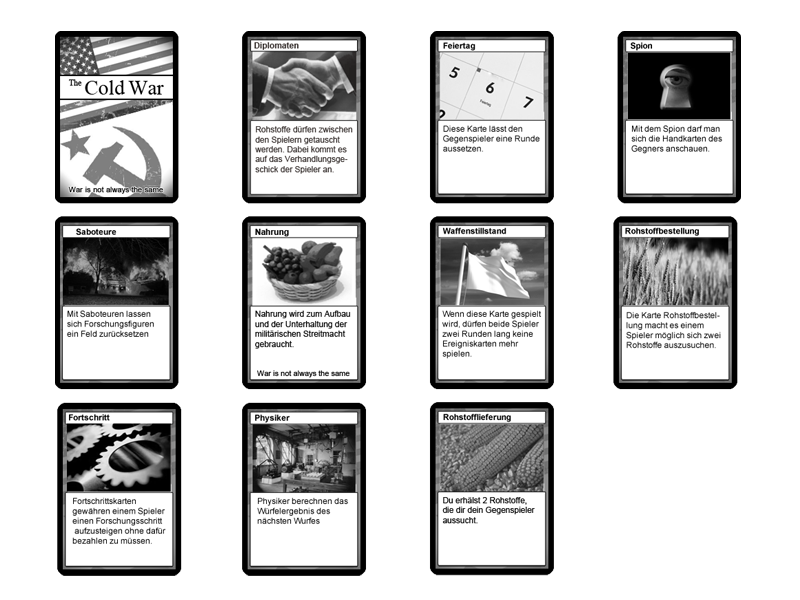 It´s a strategy game for two up to four players and I tried to convert political topics into game mechanics. 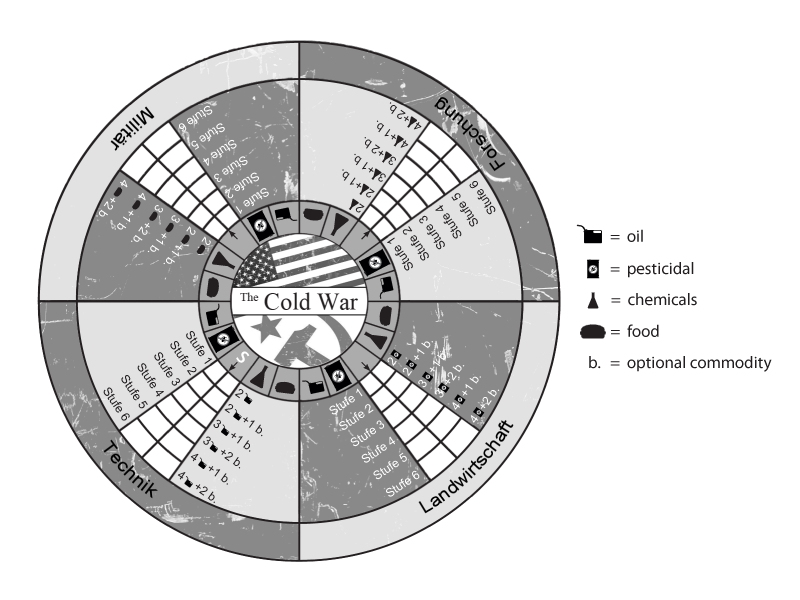 There are four different main political fields that the players are compeding for while playing. 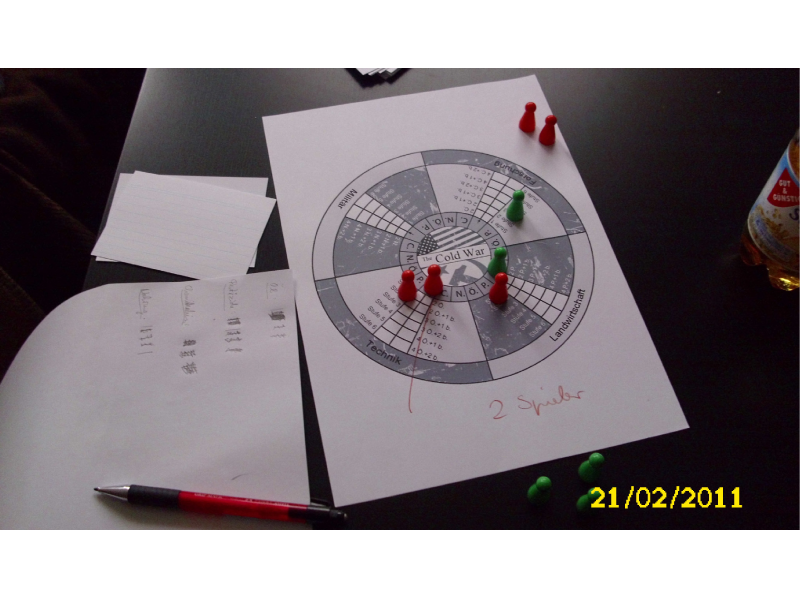 Beside the use of a dice, the board is also rotatable, to give the game another strategic component.